Mac/Linux: Often when you're running a command in Terminal it takes forever to complete. 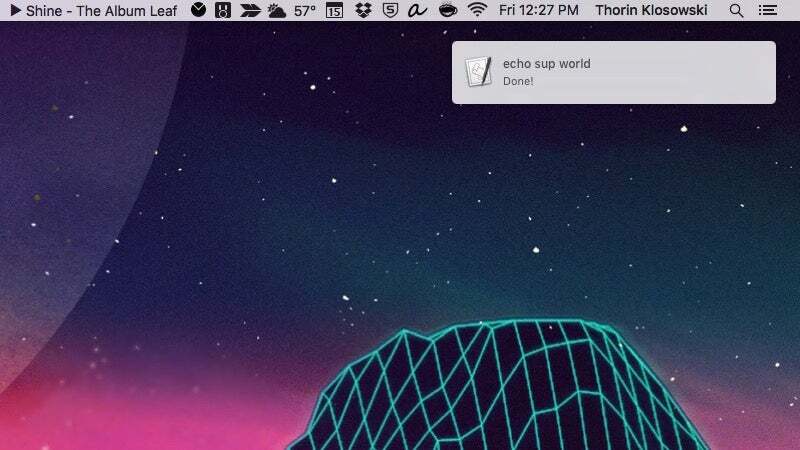 Instead of checking back in every few minutes, Noti's a tool that adds desktop (or phone) notifications. Once Noti's installed, add noti to the beginning or ending to any command and you'll get a notification when the process is complete. This works natively in OS X and Linux. Noti can also be linked up to Pushbullet so you can get a notification on your phone if you want to actually step away from your computer. If you're running a lot of time-consuming commands, Noti makes the process of waiting a bit less cumbersome.